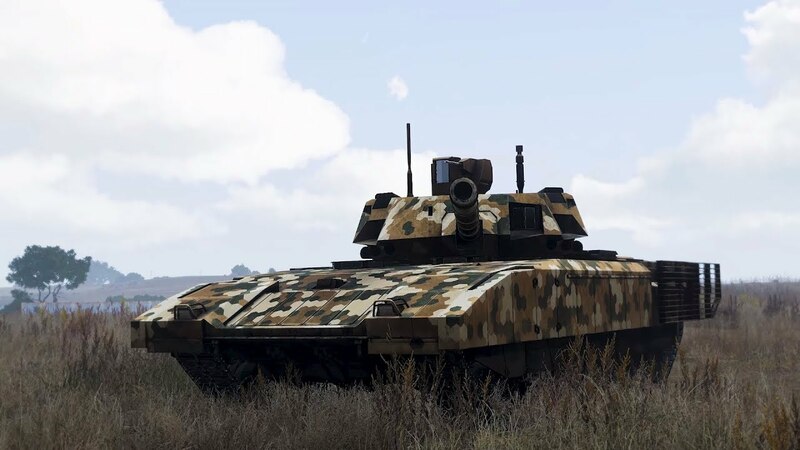 The main news this week is of course the release of the highly anticipated Arma 3 Tanks DLC. Now that it has been set free in the wild, we're evaluating player feedback, and keeping track of issues that might need to be resolved with a potential hotfix. We're incredibly grateful for the overwhelmingly positive response we've received for Tanks DLC so far. It has made us even more excited to continue planning the future of Arma 3. Tanks DLC enjoyed its full release last Wednesday! It has been a wild ride since the Arma 3 Alpha was introduced to Steam Early Access back in 2013. Thanks to you, our community, we're still very much alive and kicking! In celebration, we've also deployed an epic release trailer that nicely demonstrates the potential of our steel monsters on steroids! Tanks DLC is available for purchase both on the Bohemia Store and Steam. Owners of the DLC Bundle 2 or the (discontinued) Supporter Edition should already own Tanks DLC automatically. Also remember that if you own any of the game editions with access to the Digital Deluxe items, you'll find the new music tracks in your installation folder ('Bonus' subfolder) and Steam music player. To further celebrate the release, Creative Director Jay Crowe shares our vision behind the sandbox, features, and content of Tanks DLC. It's definitely a recommended read for anyone who's interested in the decisions that were made during development and shaped Tanks into what it is today. For more technical details on the update, be sure to inspect the full changelog (both of the game and the Tools) on the Arma 3 Dev Hub! If you're not a fan of lengthy blogs or press releases, our Brand & PR Manager Korneel van 't Land prepared a more snappy "Top 10" for you. Here we share some of our favorite things about Tanks DLC (and its related platform update). We've also made sure to include your daily dose of armored GIFs! In keeping with our well-established DLC strategy, we've also released some free improvements and content for all Arma 3 players in the 1.82 platform update that accompanied Tanks DLC. One of the new features, the Extended Damage Model for armored vehicles, is now also properly documented on the Community Wiki (kudos to Technical Designer Katarína Smiešková!). This should help community authors to upgrade their vehicles to the new damage model. Furthermore, the new free Team-vs-Team multiplayer mode Vanguard received its documentation as well. Scenario creators can now make their own Vanguard scenarios and tweak the conditions according to their needs. Time Trials are challenges that bring both joy and frustration to the speed demons in the Arma 3 community. In these fun little scenarios, you get to race against the clock and compete with your Steam friends to set the best times possible. In Tanks DLC, Junior Designer Joris-Jan van 't Land lets you try out all of the new premium vehicles and master their handling. Veteran Arma fans may even recognize some of the references in "TT18: Hammer Time" especially. Plus you don't even have to own the DLC to play these time trials! We were slightly concerned that the gold medal times would be too difficult to beat. Silly us! Once again our community proved us wrong within a few days of the release. GG! Speaking of driving ... we've received several reports specifically related to handling of wheeled civilian vehicles, such as the Hatchback, Van, and Offroad. After investigating these reports, we found that we may have missed the mark a bit when re-configuring these vehicles as part of our Vehicle Driving Overhaul. The intention was to make the vehicles more challenging to master, and thus more rewarding when mastered, but it seems that the bar may have been set too high in this case. With our skilled team of encoders, we're already preparing a solution to slightly alter the driving model. Apologies for the increase in traffic accidents across the Armaverse. Drive safely! 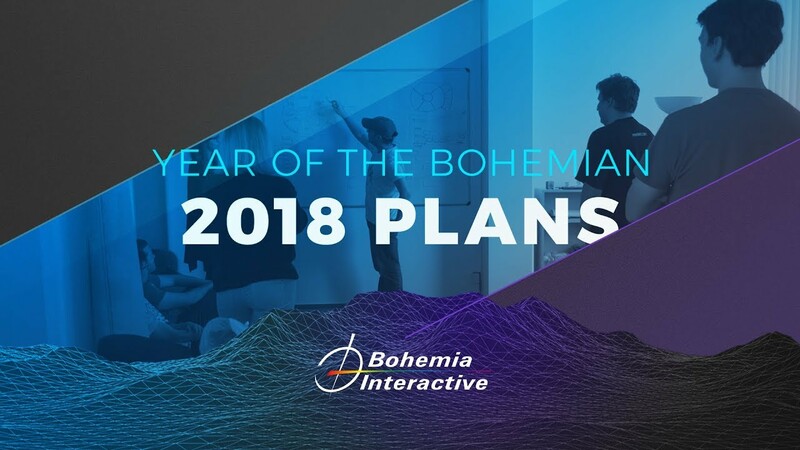 If you're interested in Bohemia Interactive as a whole, you might want to check out a video that focuses on our company's goals in 2018. Creative Director Jay Crowe reviews the status of all the (announced) projects Bohemia is currently working on. He also points towards some of the challenges that still lie ahead as we continue to grow. This video blog should offer some more insight into the games we're making and the philosophy behind the way we work. While it's not specifically mentioned in the company blog, we're also still preparing Arma 3's roadmap for the rest of 2018. Although we'll be winding down development, there will still be free platform updates, but we'll also tread some more experimental paths, such as the Third-Party DLC Initiative. This will all be discussed in greater detail when we introduce the roadmap publicly. Please give us a few more weeks so we can present you something solid! In co-operation with our partners over at BattlEye, we've deployed a small security update prior to the release of Tanks DLC. Feel free to visit BattlEye's FAQ page for more details about their anti-cheat protection.